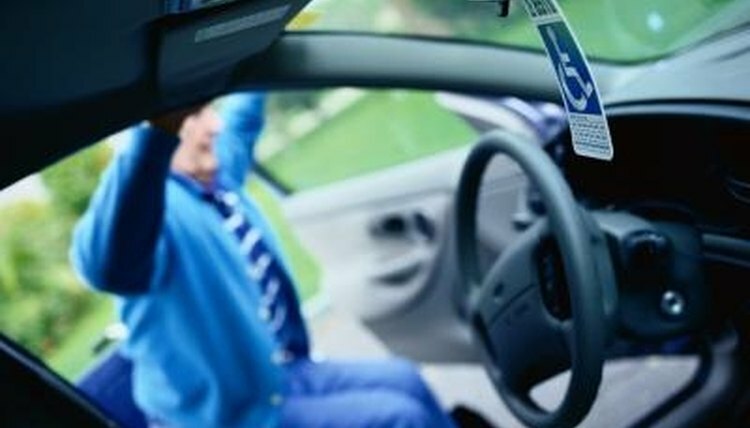 If you’ve suffered any recent injuries or are disabled and have limited mobility, then a handicapped tag for your car is a necessity. Depending on your condition, you may be able to obtain a handicapped tag, on either a temporary or permanent basis. It’s a fairly easy process in most states. The first step is to determine if you really need a tag. If you have an injury like a broken arm, that shouldn’t effect your mobility and you will most likely not be able to get a disabled car tag. For a broken foot or leg though, you are eligible for a temporary tag. Evaluate whether or not a handicap tag will be to your benefit. In order to obtain a handicapped tag for your car you’ll need doctor's verification of your injury or condition. Most doctor’s offices have pre-printed forms for patients who come in seeking to obtain a handicapped tag. Your doctor will evaluate your condition and either give you a form for temporary tag that will last the duration of your disability, or a form for a permanent tag. Collect everything you'll need. In most cases you’ll need to your doctor’s verification of your disability, and any other documentation, your driver’s license, car registration and license plate number. To be sure you have all you need, call your local tax, tag and title office to verify. Make sure you are up-to-date on your vehicle registration, as they may deny you a handicapped tag if you are not. If your registration is expired, you’ll most likely need to renew this first, which can be done at your tax, tag and title office. Head to your local tax, tag and title office. You can usually find locations in the phone book, or online through the Department of Motor Vehicles site for your state. Sometimes these offices can be very busy, so you may want to call ahead to see if you are in for a hefty wait and should reschedule a better time to go. Wait for a clerk to call you up. When they do they will evaluate your information and grant you a handicapped tag if they feel it is adequate. Most places will charge you a small fee for a temporary handicapped tag as well. Davidson, Amy. "How to Obtain a Handicap Tag for the Car." , https://legalbeagle.com/5843012-obtain-handicap-tag-car.html. Accessed 21 April 2019.